If you were Entry Level Certified in 2017 you are required to do Baseline Testing. Once this testing and survey are complete, you can then register on Ref Centre for this upcoming season. Please also note that for HYSC to keep track of all individuals interested in Refereeing this upcoming season, please register as a referee on our soccer registration link off of the homepage of this site. You will need to have your own email account, and if you are under 18, your parents will automatically be copied. YOU WILL RECEIVE A CERTIFICATE AT THE END OF THE TEST AND SURVEY AND IT IS IMPORTANT TO DOWNLOAD AND SAVE TO YOUR COMPUTER AS THE CODE AT THE BOTTOM OF THE CERTIFICATE IS VERY IMPORTANT FOR FUTURE REFERENCE. 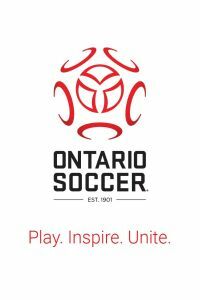 Information on refereeing in Ontario is provided. Brant County Branch - Ontario Soccer Referees Association (OSRA) is holding a series of FREE Referee Meetings & Education Seminars (Winter-Spring 2018). February 15th at Tim Hortons Field on the 2018 Law Revisions and then a discussion on restarts and offside. The session will start at 7pm in the Press Room (2nd floor). Please save the appropriate form (Caution, Dismissal, Special Incident) to your computer, fill it out and e-mail or give it to the Club Head Referee or the Referee Coordinator in your town. These reports must be completed and delivered to the Club Head Referee within 24 hours of the incident. Click on underscore "_" beside names below for direct email. The Blind Ref - sees himself as the friend of the fast-flowing game. Appears to have lost his whistle and lets anything pass. The Whistling Ref - a chronic whistleblower for every minor misdeed, fragmenting the game with a thousand irritating stoppages. The Homer Ref - believes that every savage foul by the home team is nothing more than an enthusiastic tackle. The Headmaster Ref - treats everyone as naughty little players. Gives patronizing sarcastic glances, much finger wagging and stern lecturing. The Flashy Ref - is immaculately costumed. Uses flamboyant gestures and often acts out fouls in mime. The Smiley Ref - has seen it all before and believes that humor is the best way to defuse potentially explosive situations. nearly always smiles when he gives a severe warning. The Perfect Ref - is firm but fair. Restrained but decisive.